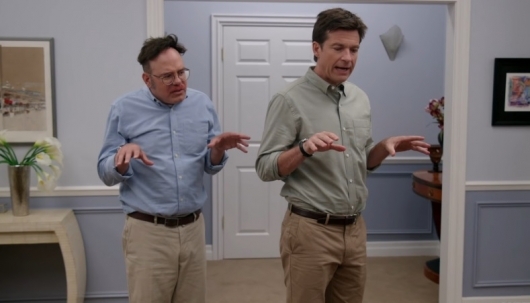 More Arrested Development is on the way from creator Mitchell Hurwitz, and Netflix has released an official trailer for the new episodes. Click on over to the other side to check out the trailer. 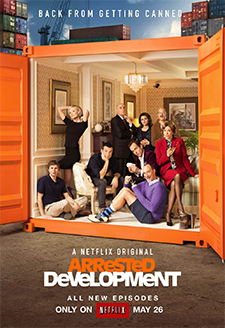 Netflix has released an official trailer for Arrested Development season five, which is set to arrive on the streaming service later this month. Returning for the new season is series creator Mitchell Hurwitz, along with the full cast including Jason Bateman, Michael Cera, Jeffrey Tambor, Jessica Walter, Will Arnett, Tony Hale, Portia de Rossi, David Cross, Alia Shawkat, and, executive producer Ron Howard as the narrator. 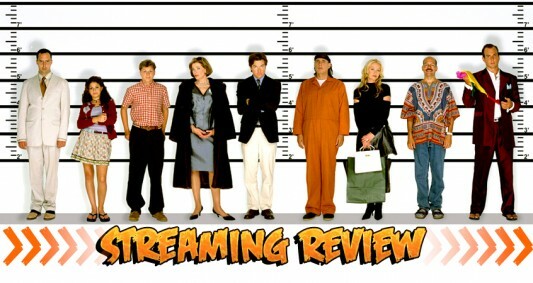 You can find the trailer for new Arrested Development episodes below. The Gold Box spotlight deal of the day over at Amazon today is Arrested Development: Seasons 1-4 DVD bundle for only $31.49 (that’s 61% off the list price of of $79.98). Note, this sale is valid only for today, Friday, February 27, 2015 until 11:59pm PST, while supplies last. This is all four seasons on 11 discs of the television comedy Arrested Development (3 seasons on Fox; the 4th and recent season on Netflix) shot mockumentary-style and narrated by Ron Howard. The show stars Jason Bateman as the only normal seed in his dysfunctional family of Jeffrey Tambor, Portia de Rossi, Will Arnett, David Cross, Jessica Walter, and Michael Cera. 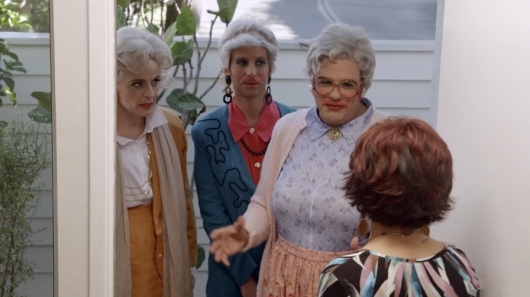 Fans of the canceled cult hit Arrested Development have been awaiting this day for a long, long time. Today, the show officially goes back into production on brand new episodes, which will be made available through Netflix instead of on your TVs. Even better, it’s being reported that each and every one of the show’s original cast have entered into final negotiations to return whenever everything gets situation and actual filming is ready to begin. This includes Jason Bateman, Jeffrey Tambor, Portia de Rossi, David Cross, Jessica Walter, Will Arnett, Michael Cera, Alia Shawkat, and Tony Hale. Note, this sale is valid only for today, Tuesday, November 1, 2011 until midnight PST, while supplies last. This is all three seasons on 8 discs of the Fox television comedy, Arrested Development, shot mockumentary-style and narrated by Ron Howard. The show stars Jason Bateman as the only normal seed in his dysfunctional family of Jeffrey Tambor, Portia de Rossi, Will Arnett, David Cross, Jessica Walter, and Michael Cera. For the 25 days leading up til Christmas Day this month, we spotlighted some of the best Christmas-themed episodes from some of Geek culture’s greatest shows, covering different shows and episodes and encouraging you to watch along with us. We’re on our final day of our countdown – Christmas Day! So come one, come all, to the 25 Days of Geek TV Christmas! You can stream the episode over at Hulu or watch it right here below! You can also purchase a copy of the episode at Amazon or iTunes. You can also purchase a copy of the episode at Amazon or iTunes.